Facilitated community discussion follows the film. This documentary provides the real story of how the health care systems in Canada and the United States evolved to be so completely different, when at one point they were essentially the same. Most people under the age of 50, in both countries, are not aware of the intensity of the political struggle that led to the universal medical care system in Canada. Nor are they aware of the public relations campaigns, still active today, that have been prevalent in the United States since the early 1900’s to dissuade the public from supporting national health care. Produced by Canadian/American couple Laurie Simons and Terry Sterrenberg, THE HEALTHCARE MOVIE reveals the personal and emotional impact on Canadians who now have access to universal health care because of the heroism of people who took a stand nearly 50 years ago. It also reveals the continuing struggle in the United States between the fear of government intervention and the right to quality health care for all people. 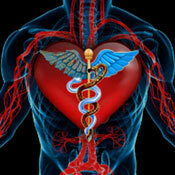 Every day people are dying or going bankrupt due to the ills of the United States system. Who are we in the face of this human tragedy? If you agree that people are more important than profits, then you must watch this film. 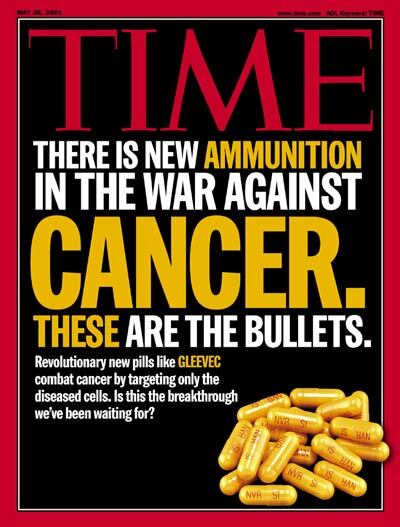 Those who have been following the saga of the leukemia wonder drug imatinib mesylate or Glivec (spelled Gleevec in North America to standardize pronunciation) may recall that it was said to be the first medicine for which a global price was set. At the time of its 2001 FDA approval, the worldwide price was US$2400/month, for a base dosage of a 30 day supply of 400mg caps. Indeed, Novartis CEO Daniel Vasella went to great lengths to discuss and justify both the high price and the pricing decision in his subsequent infomercial-type book Magic Cancer Bullet: How a Tiny Orange Pill Is Rewriting Medical History. The Gleevec story is notable too in that the typical pharma claim that the price is justified by R & D costs, was refuted by researcher Brian Druker MD, who detailed how most of the initial work on imatinib was publicly funded and he had to convince Novartis to produce enough of it to begin clinical trials with CML patients. Dr. Druker has also gone on record to criticize the price being charged for Glivec. Since then patients in wealthy countries mostly have been clamoring for their public or private insurance to cover the drug (and its second-line successors) not that something be done about the price that is exorbitant even in their economies. Novartis invested heavily in worldwide patient relationship marketing for Glivec , which has contributed to this phenomenon, a topic explored previously in this blog. In recent years, it has become much more common to hear complaints from US patients and even some of the big-box disease associations, about the escalating price of drugs like Glivec and especially for new biologics. But it has been rare to to hear demands that something be done about drug prices. So the recent posting of a patient petition on change.org calling for action to reduce the price of Gleevec is notable: Novartis and US Representatives in Congress: Reduce to patients the cost of the drug, Gleevec. Setting aside the issue of misunderstanding that there are no price controls on prescription drugs in the US open market and that the FDA does not regulate drug prices, the petition is significant as a reflection of the increasing desperation of middle-class privately insured patients. They are among the majority here whose insurance status and/or income levels typically disqualify them for the patient assistance programs much touted by Novartis, whose global Gleevec sales generated $4.7B in 2011. Many US patients are now finding that the Gleevec price has skyrocketed at the same time that insurers are requiring them to pay a much larger share of its hefty price tag. The situation is quite simply unsustainable. While Novartis is continuing its drag on its patent fight to combat the imatinib generics already on the market in India, these cannot yet be exported to the US. The original US patent for Glivec expires in 2015. In 2009, Sun Pharma filed for and received tentative FDA approval for a generic imatinib for when that day comes. Given the power of the pharma lobby the future remains very uncertain for any relief on the price of Gleevec , but the clamor of voices from the grassroots is a healthy development. In these times of intense attention to healthcare from all quarters of the US, a new study by USA Today and Kaiser Health News reporters focused on community clinics. Over the past 2 decades community clinics have developed from origins often as volunteer-run efforts, to become a vital part of what is called the safety-net. Frequently they now are the sole source of care available to over 20 million people, often as the only providers who will accept patients covered by Medicaid, and for the growing ranks of the uninsured. 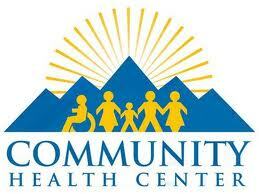 The sorry state of healthcare access would be far worse if it were not for community clinics. These centers will play an important role too in the reforms set to start in 2014. It is expected that many who will become newly insured by Medicaid will be seeking care at community clinics. Long woefully underfunded, clinics will be eligible to receive help from the $10 billion approved by Congress for expanding their service capacity. The report entitled Community clinics have odds stacked against them looked at almost 1200 community clinics across the country, and ranked them based on the 6 categories of performance quality measures which federally qualified health centers (FQHCs) must report to the federal government. The categories cover care for patients with diabetes and high blood pressure, rates of screening for cervical cancer and childhood immunizations, plus timeliness of prenatal care and rates of low birth-weight babies. Using 2010 clinic performance data obtained by FOIA request, the reporting team found wide variations in care by center, by region of the country, and between specific centers in the same city. Generally, clinics in the South performed worse that those in New England, the Midwest, and California. Overall, their survey showed community clinics not performing as well as the national averages for the study parameters . The article disregards the better quality care that most health centers achieve when compared to care provided to other low-income patients elsewhere. However, at least the article does reveal what few Americans realize– that every health center reports on the quality of care their patients receive…. …When you compare the federal data that is the focus of the USA Today article with national data from the National Center for Health Statistics, health centers performed better than national averages for entering women into prenatal care during the first trimester, childhood immunization rates, reduced low birth rates and hypertension control…..
NACHC recently published its report Health Wanted – The State of Unmet Need for Primary Health Care in America which takes an in-depth look at the factors behind the consistent and increasing demand for community clinics, the links to social determinants of health and how funding has not kept up to meet population needs. In FY 2011 for example, only 67 out of some 1900 applications for new health center service sites were funded. The data provided for Public Health represents a small subset of the patients we see—our homeless primary care patients. This is because Public Health’s federal health center grant comes under a targeted program called Health Care for the Homeless. Our federal data report, therefore, is specific to our homeless patients per federal reporting requirements. As you know, homeless patients face barriers that often exacerbate medical and behavioral health conditions and complicate treatment plans. While most community health center grants and programs are for the general low-income population, some — like ours — target special population groups such as homeless people or migrant workers. There is nothing in the USA Today article that provides this important context. That said, quality improvement is a big part of our program for all our patients, whether homeless or housed.